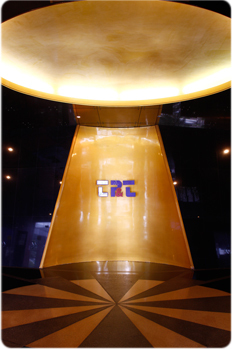 TP&T Tower was initiated to answer its need for a new spacious headquarters to accommodate its ever-expanding business, and to offer other leading business firms a premium office environment. Standing majestically on a prime area of Vibhavadee Rangsit Road, the 25-storey TP&T Tower provides a first-class alternative to companies seeking a conveniently located office comprising elegant design with maximum efficiency and comfort. For many companies, TP&T Tower is situated in the most convenient location in the city, yet leasable space here is still excellent value. TP&T Tower not only provides a genuine alternative with easy accesses to all parts of the city. It is an alternative that is built to the very highest international standards and at the same time offers considerable cost savings. Easy access to the toll-way, providing easy access to all points in the greater metropolitan area. At the very center of a growing industrial corridor north of the city. A reduction in commuting time for a significant number of staff members. Low energy consumption. An exterior granite wall with a double-glazed insulation glass curtain that efficiently controls indoor temperature, holds down energy costs and reduces noise pollution. Executive amenities. The entire 24th floor is dedicated to TP&T Tower tenant’s extra needs, with an executive conference room. Additional comfort measures include floor-to-ceiling heights of 2.6 meters, air volumes controlled by each individual office, a canteen on the 8th floor, parking space for 300 cars, 500 telecommunication lines, a conference room on the 24th floor, a state-of-art fire protection system and a 24-hour security system.